Picking a bet has always been an unproven science. There are several parameters, analytics and data that influence betters' decisions. However no one has ever tried to automate the whole experience. 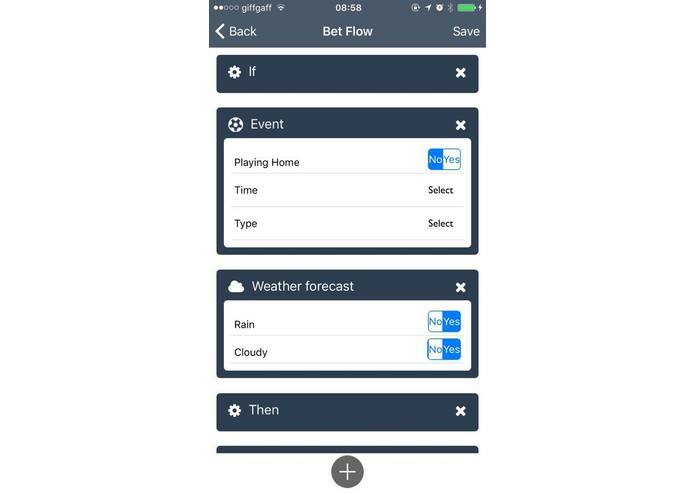 IfBet is an automated engine that lets the user create a set of flows and instructions in order to place a bet. 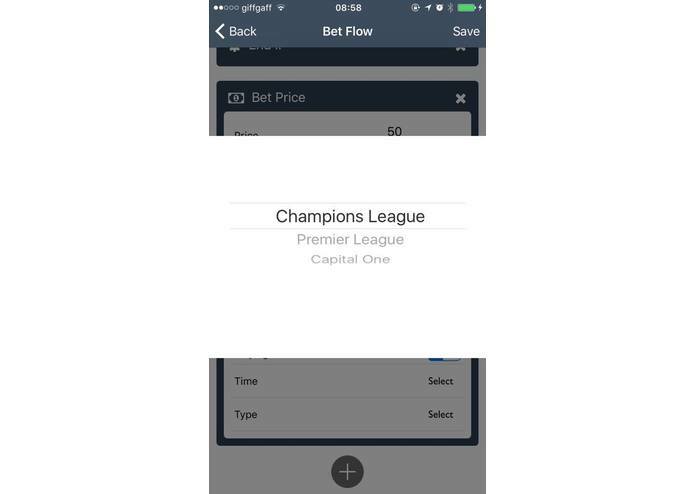 A simple flow could be if it's sunny, Manchester United is playing at home, the top scorer of the team is playing, the match is a Premier League, always bet £10 on the team. This means that the flow conditions can be matched and met multiple times across the season. 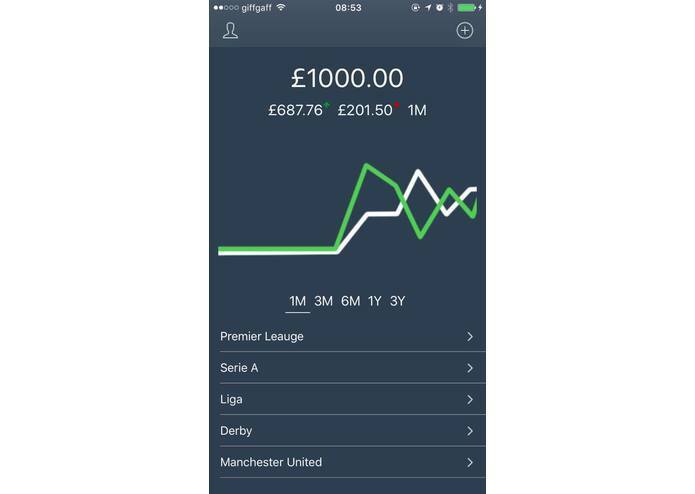 The user holds an account balance which is used to place future bets. Further the app is able to show the gains and the loses through charts. This decision was taken to make users aware of how much they are spending and give them more control over their finances. 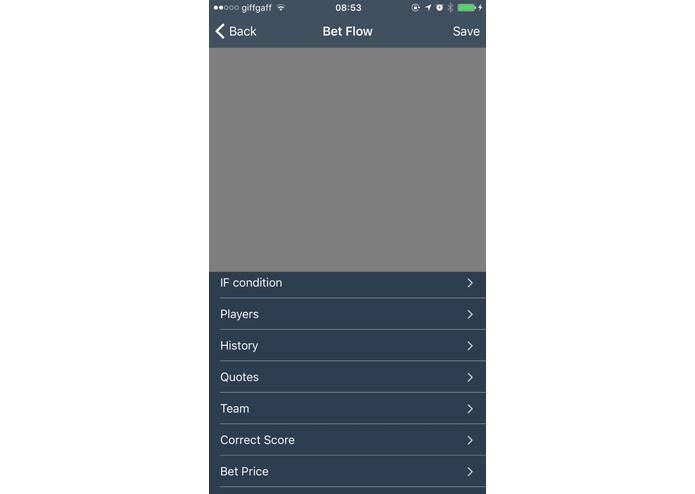 The iOS application was built with React Native and the William Hill APIs. The Backend is written in Node.js. The software architecture lets add more building blocks in an easy and straightforward way, which means that the possibilities are endless. 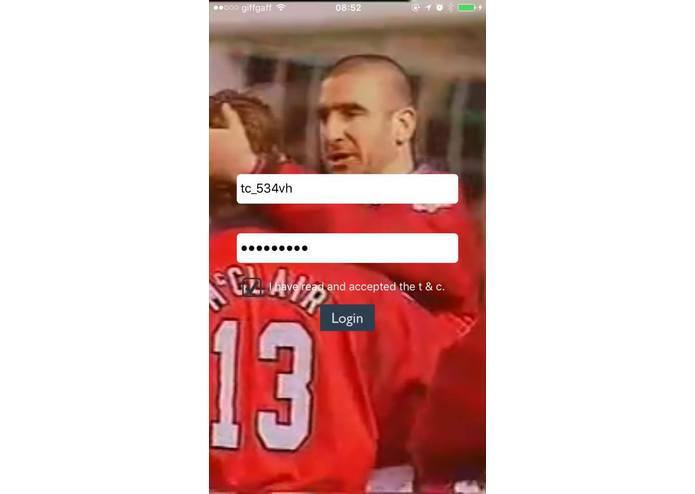 Building a smooth drag and drop experience to build a custom flow in React Native turned to be more challenging than expected. There are several industries that are applying automation; that's why we are proud to have imported this model in the betting industry. 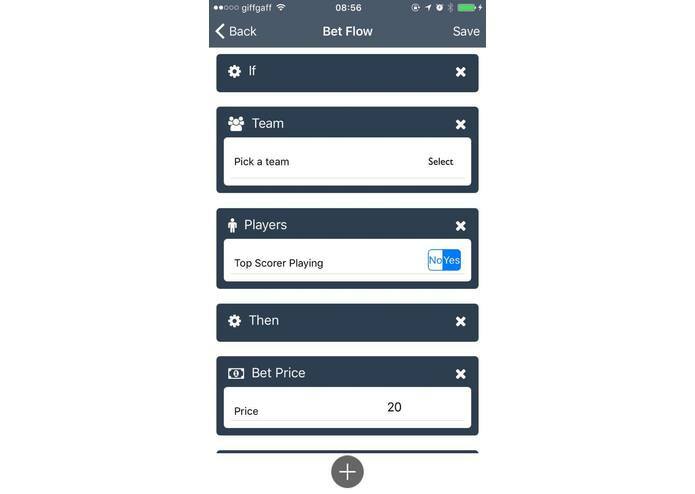 We learned how intriguing and deep the world of betting is, but also how fast and reliable shipping a product in a few hours with React Native is. 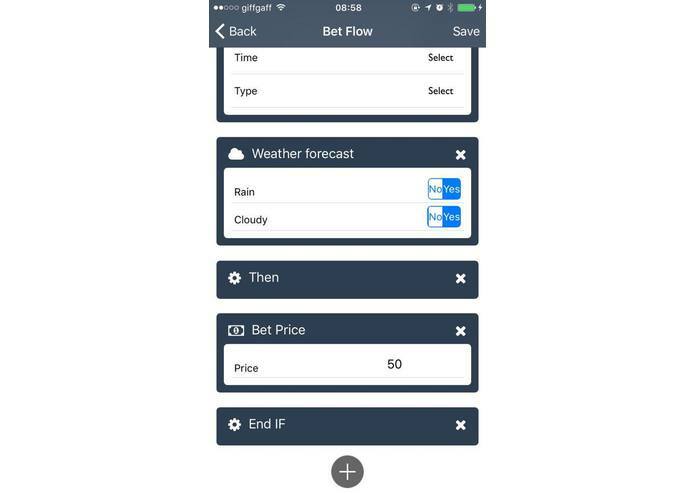 IFBet is ready to expand into a commercial application that any responsible better can use to make the bets smarter and more efficient.